March was a good reading month for me, especially considering the fact that one of the books I read will probably be one of my top five reads in 2018. Keep reading to find out which one it was . . . Most books ask the reader to suspend their disbelief on some level., but I'm going to be perfectly frank and say that I just couldn't do it with this one. I wanted to like it because Zinnia, the protagonist, is a knitter, which I found immediately endearing. 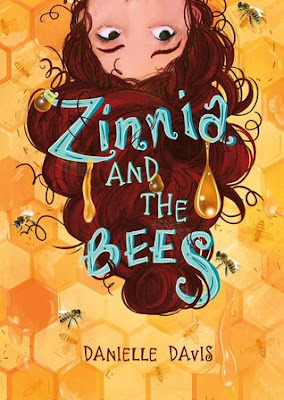 But when a truck filled with beehives crashes and the hundreds of liberated bees choose to collectively land in Zinnia's unruly curly hair, I was skeptical. But then the bees proceed to stay on top of her head for something like the next three weeks. She hates it (understandably) but just pulls up a hood and carries on with the other traumas in her life (her brother's abrupt departure, an emotionally distant mother, and friend problems). One has to wonder why a) no one else notices the buzzing bees, b) Zinnia doesn't ask someone to drive her outside the city or at least to a park where the bees could find an appropriate home, or c) Zinnia's new friend, a brilliant naturalist, doesn't come up with any ideas himself (even though he says he'll help her). If the events in the book took place during a single day, maybe this would work, but over several weeks, no way. The other thing I couldn't handle, and this is actually a big pet peeve of mine in general, is that Zinnia's mother is an austere, insensitive, unloving mother (and always has been from the sounds of it), but then one day, she flips things around and begins to invest in their relationship. Of course, a big event triggers this, so maybe it isn't completely unbelievable, but I still have a really hard time with someone being painted as completely awful and then expecting me to just go along with this miraculous change in attitude and temperament. If this is going to be asked of me, then you have to give me at least a little glimmer that such a change could be possible before it actually takes place. We're not quite ready to read the last book in the Ramona series. She and Aaron have grown up together, matching year for year, and now they're both in fourth grade, which is when the final book takes place. We'll read it in the next couple of months, but it will be bittersweet for sure. In the meantime, we read Ellen Tebbits, which was new to me as well as to my kids. Ellen has a quieter personality than Ramona, but that doesn't mean she avoids childhood drama. In fact, the fight between her and her best friend, Austine, is probably one of the most realistic squabbles turned serious that I've ever read. I always love Beverly Cleary's books for their strong time stamp. For example, at one point, Ellen and her mother go to the department store to pick out a pattern and material for a new dress. Can you imagine going to Nordstrom's to shop for fabric?! But I guess in an era when sewing for your entire family was in vogue, it would make sense to sell what the mothers would buy. I gave Maxwell Otis Spofford for his birthday, which is the followup to this book. I thought I would read it aloud as well, but at the time, we were still in the middle of Ellen Tebbits, and by the time we finished, he and Aaron had both already read it on their own. This was my book club's pick for March, and I'll be surprised if it doesn't make it into my top five books of 2018. It was so good, but it's not for the faint of heart. 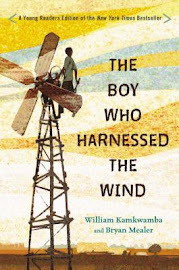 It was one of those books that left me pacing around the house, shouting, "This is happening in MY country?! During MY lifetime?!" "And also, "Our justice system is broken. BROKEN. And so corrupt." Mike's probably glad I'm done with it and that I processed all my feelings at book club so he doesn't have to hear about it anymore. 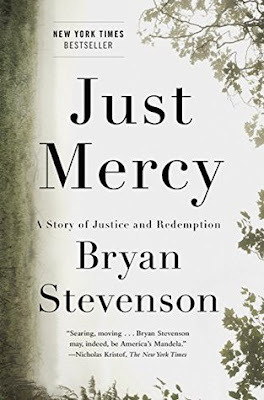 The book is by Bryan Stevenson, a lawyer who founded the Equal Justice Initiative, a nonprofit organization that strives to provide fair trials and secure humane sentences for all prisoners . In the book, he exposed many of the holes in our justice system--things like bribery, insufficient evidence, dishonesty, corrupt officials, and racial prejudices. He also shared many stories, which opened my eyes to the truth in painful ways. One of these was about Walter, a man who was falsely accused of murder and sentenced to death row. The only evidence against him was a shaky testimony given by a man who later admitted he had been bribed by police in exchange for a lesser sentence for a crime he had committed. It was frightening to see how easily Walter was convicted of murder and how difficult it was to reverse that decision (even with plenty of evidence supporting his innocence). But ultimately, the book was about mercy. Bryan was adamant that "Each of us is more than the worst thing we've ever done." I believe that, and that was something I tried to stress during our book club discussion. In this book, the criminals are the "good guys," the ones being wronged, and the ones the readers end up rooting for. But I was kind of amused how quickly we started pointing our fingers and condemning some of the other people in the stories: the prison guard, the judge, the white police officer, and the nosy neighbor. It was as if we needed a target for all of the anger and indignation we were feeling. But those people were also "more than the worst thing they've ever done." It was hard to admit, but they needed mercy, too. Anyway, you can probably tell that this is a book for which I could easily have written a whole review. Maybe I should have. But I highly recommend it nonetheless. This is a slim book, but I loved every word of it. Turns out, Sister Marriott has a way with words on paper just as much as she does when she is speaking. In fact, there were times when her voice seemed to leap off of the page as she shared her experiences. This was a good mix of personal stories and bold insights. One of the most impactful stories for me was about one of her daughters when she was in elementary school. She didn't have any friends and felt so lonely at school. Sister Marriott said she found out the times her daughter's class went to recess. She said, "Each day at 10:10 am, I dropped to my knees wherever I was in the house. 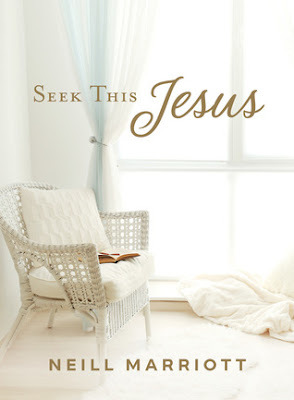 The kitchen floor, the family room rug, the bathroom tiles, all became prayer places as I petitioned the Lord on behalf of my lonely daughter." But the thing that made my eyes prick up instantly with tears was this: "That was when she needed me, and that was when she would have me." I loved the way she accessed the power of prayer on her daughter's behalf. I also loved this thought, which actually goes along perfectly with my theme for 2018 (which I still haven't written about . . .): "The temporal world rushes into any space in our lives that we will give it, filling our spiritual needs with good but mostly temporary activities." This is a book I'm sure I'll revisit frequently, probably even later this year as part of my rereading goal. But first, I have to loan it to my mom. This was the winner of the 2018 Newbery Medal. 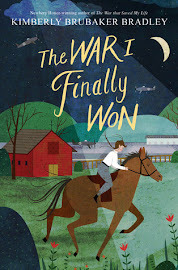 I had never even heard of it beforehand, which either shows that I was not great about following Newbery news ahead of time (which is true) or that it wasn't a favorite to win. Regardless, I put the audio on hold as soon as the winners were announced, and then I flew through it as soon as I got it. It follows four characters: Virgil (a shy boy who is being bullied by Chet and is secretly smitten with Valencia), Valencia (a deaf girl who loves nature, is tormented by a recurring bad dream, and doesn't realize Virgil exists), Chet (the aforementioned bully), and Kaori (a self-proclaimed psychic who happens to have both Virgil and Valencia as (her only) clients). The bulk of the story takes place on a single Saturday when all four characters happen to cross paths and interact in a rather uncanny way. It begins when Chet meets Virgil in the woods and drops Virgil's backpack (which happens to be holding his pet guinea pig, Gulliver) down a deep, dark well. I had mixed feelings with this one. 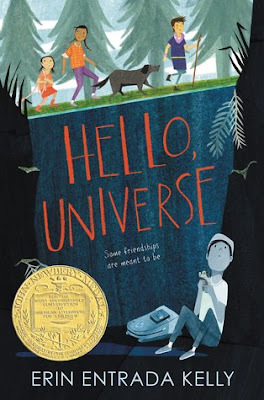 I liked the story and the characters, and I absolutely adored the ending, but my overall reaction was surprise that it had won the Newbery. The writing was good, but I wasn't blown away by it (although Kaori did get me to laugh out loud several times). The plot line was interesting but not super intricate. And it was just a little bit on the short side. I had a difficult time seeing what set it apart from other beautifully executed middle-grade novels. 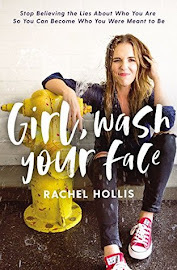 I liked it for sure (much more than Zinnia and the Bees--see above) and would recommend it, but it's not one I'm rushing out to buy for our personal shelves. What did you read in March? I'm always up for new recommendations! I read Just Mercy a few years ago, and I still think of it often. I remember telling my husband (over and over) that if I had been watching a movie where the things happening to Walter were happening, there is no way I would have believed it. It is absolutely crazy. I love Brian Stevenson and the work he does. I’m really intrigued by these last two titles! I’m sad that I can’t read them right now, but am putting them on my list for later. I also read Just Mercy for a book club and had the same reaction. The best book I read recently was Finding Felicity. Not great literature by any means, but it was a lot of fun to read. Very nostalgic. Beverly Cleary lived for some years in a house two blocks from where I live now in Berkeley, CA. I grew up in Berkeley partly during the time she was living here. There was one department store and, yes, there was a large area devoted to fabrics and patterns. By the time I was in high school I made most of my clothes and my mother made most of hers--all from fabric purchased at that department store. 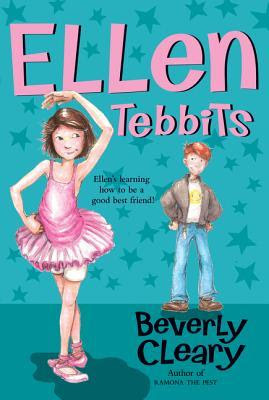 You might be interested in reading a short biography of Beverly Cleary: http://www.edupaperback.org/page-864519 There is a paragraph about Ellen Tibbets in which Cleary is quoted as saying that it was ""probably the most autobiographical of my books."